Dragon fruits are widely consumed in Asian countries like Taiwan, Vietnam, Thailand, the Philippines, Sri Lanka and Malaysia. They are also popular in Mexico and in central and South America. 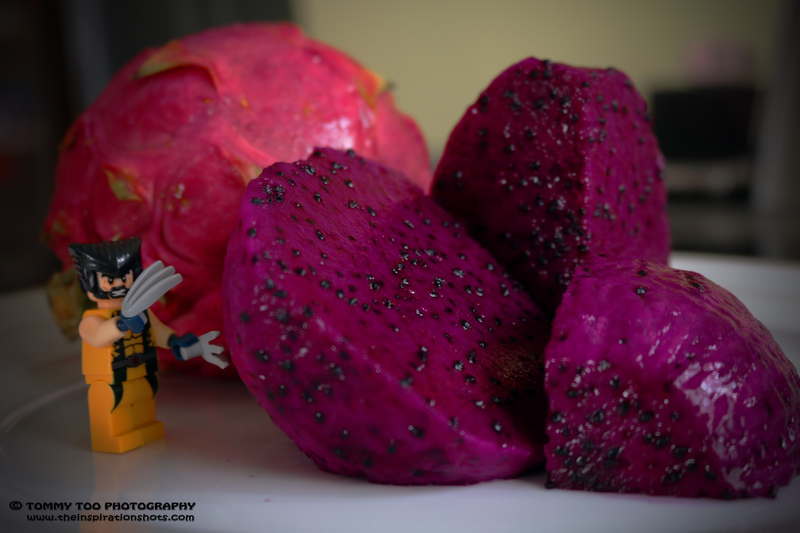 The other name for this fruit is Pitaya or Pitahaya. The fruit is obtained from several cactus species, but the most important is the one obtained from the genus Hylocereus (sweet pitayas). Hylocereus or sweet pitayas come with a creamy pulp and a delicate aroma. Dragon fruits are rich in antioxidants. They help prevent the formation of carcinogenic free-radicals. They (especially red-skinned pitayas) are packed with vitamin C. Vitamin C ensures fast healing of bruises and cuts and helps improve the function of the immune system. Vitamin B2 acts as a multivitamin and helps improve your appetite. Vitamin B1 plays an important role in the production of energy as it promotes metabolism of carbohydrates. Vitamin B3 lowers bad cholesterol level and enhances the appearance of the skin by making it moist and smooth. The seeds of the fruit contain high polyunsaturated fatty acids. The fruits help get rid of heavy metal toxins from the body. They help lower cholesterol and high blood pressure. They work great for asthma and cough. Carotene obtained from the fruits helps maintain and improve the health of the eyes. Proteins from the fruit help enhance metabolic processes in the body. The fruit serves as a food substitute for rice, especially for the diabetics. It can be used as cosmetic and health material, as it improves eyesight and prevents hypertension. It is a good material for beverages, delicious vegetable dishes, as it comes with high nutrition, low heat and vitamin C. The fruits are rich in minerals, especially calcium and phosphorus. Calcium reinforces bones and helps in the formation of healthy teeth. Phosphorus aids in tissue formation. These fruits are low in calories and high in fiber. They help avoid constipation by acting as natural laxatives. They help improve the overall digestive health of a person. Fiber from the fruits enhances the process of digestion and helps control accumulation of fats. Regular consumption of fresh or dried dragon fruit helps maintain the health. The fruit comes in three varieties – red skin with red flesh (widely considered to be the best-tasting), red skin with white flesh and yellow skin with white flesh. Dragon fruit plant has strong roots and is good at water conserving. It can be cultivated easily. It is also good at heat and drought resisting. So growing these fruits is quite easy and economical. The fruits have a leathery, leafy red skin. One dragon fruit can weigh from 150-600 grams. It can be described as mildly sweet and is best served cold. To eat it, you should simply cut it in half, and then, scoop out the flesh with a spoon. The skin may not be eaten. The little black seeds can be eaten along with the flesh, just like a kiwi fruit. The middle of the fruit is the sweetest part of the fruit. A sconce is a type of light fixture affixed to a wall in such a way that it uses only the wall for support, and the light is usually directed upwards, but not always. It does not have a base on the ground. For this reason, lighting fixtures will need an electrical box to be installed. The word applies both to traditional forms of torch lighting, but also to modern gas and electric light sources affixed in the same way. 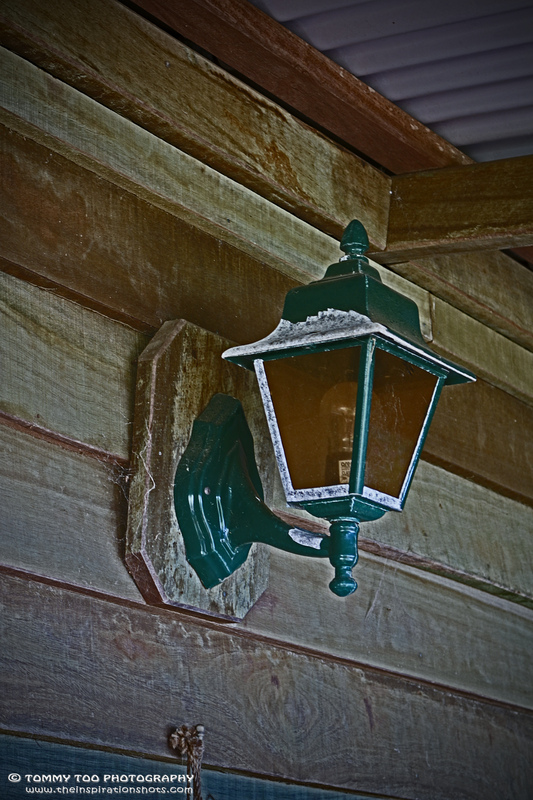 The etymology of sconce is from the Latin absconsus, and the French esconce. It is a word of many meanings, mostly signifying a covering or protection, or, by extension, that which is covered or protected. Modern electric light fixture sconces are often used in hallways or corridors to provide both lighting and a point of interest in a long passage. Sconce height in a passageway is generally 3/4 of the distance up the wall as measured from the floor to the ceiling, and the distance between sconces on the wall is generally equal to the distance of the sconces from the floor, often alternating sides of the passageway. Sconces are typically installed in pairs or other multiple units to provide balance. They can be used to frame doorways or line a hallway. Swing arm sconces are often placed next to a bed to provide task lighting for reading. The permanent way is the elements of railway lines: generally the pairs of rails typically laid on the sleepers (“ties” in American parlance) embedded in ballast, intended to carry the ordinary trains of a railway. It is described as permanent way because in the earlier days of railway construction, contractors often laid a temporary track to transport spoil and materials about the site; when this work was substantially completed, the temporary track was taken up and the permanent way installed. The earliest tracks consisted of wooden rails on transverse wooden sleepers, which helped maintain the spacing of the rails. Various developments followed, with cast iron plates laid on top of the wooden rails and later wrought iron plates or wrought iron angle plates (L-shaped plate rails). Rails were also individually fixed to rows of stone blocks, without any cross ties to maintain correct separation. This system also led to problems, as the blocks could individually move, and it was replaced by the “modern system” of rails and transverse sleepers. Although, Brunel’s 7 ft (2,134 mm) broad gauge system used rails laid on longitudinal sleepers tied to piles. Developments in manufacturing technologies has led to changes to the design, manufacture and installation of rails, sleepers and the means of attachments. Cast iron rails, 4 feet (1.22 m) long, began to be used in the 1790s and by 1820, 15 feet (4.57 m) long wrought iron rails were in use. 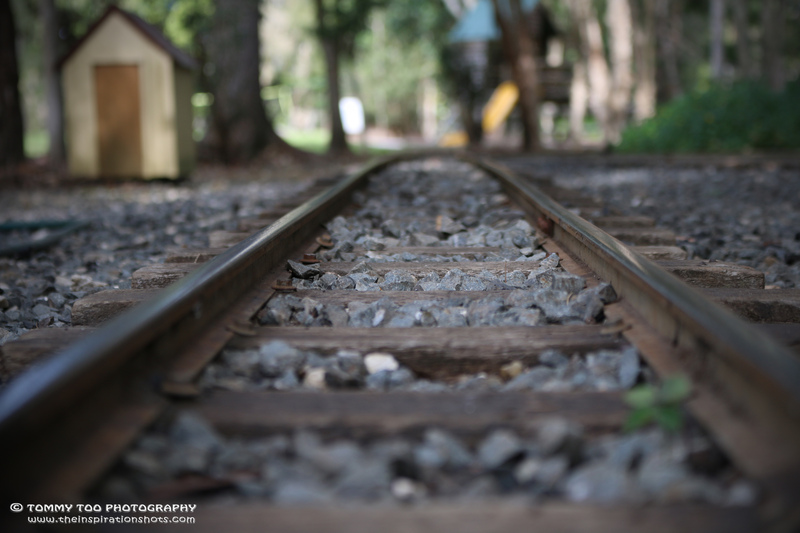 The first steel rails were made in 1857 and standard rail lengths increased over time from 30 to 60 feet (9.14 to 18.29 m). Rails were typically specified by units of weight per linear length and these also increased. Railway sleepers were traditionally made of Creosote-treated hardwoods and this continued through to modern times. Continuous welded rail was introduced into Britain in the mid-1960s and this was followed by the introduction of concrete sleepers. The earliest use of a railway track seems to have been in connection with mining in Germany in the 12th century. Mine passageways were usually wet and muddy, and moving barrows of ore along them was extremely difficult. Improvements were made by laying timber planks so that wheeled containers could be dragged along by manpower. By the 16th century the difficulty of keeping the wagon running straight had been solved by having a pin going into a gap between the planks. Georg Agricola describes box-shaped carts, called “dogs”, about half as large again as a wheelbarrow, fitted with a blunt vertical pin and wooden rollers running on iron axles. An Elizabethan era example of this has been discovered at Silvergill in Cumbria, England, and they were probably also in use in the nearby Mines Royal of Grasmere, Newlands and Caldbeck. Where space permitted round-section wooden tracks to take trucks with flanged wheels were installed: a painting from 1544 by the Flemish artist Lucas Gassel shows a copper mine with rails of this type emerging from an adit. Much of the Australian lifestyle is based around the country areas, with farms and properties accounting for much of the land use in this huge country. Livestock such as cattle and sheep as well as other farming types including growing a huge variety of crops is widespread in non-built-up areas. Visitors to Australia will often only see the cities and coastline, so getting out to some farms is a great way to see the countryside and experience some of the ‘true blue’ Aussie farming culture. 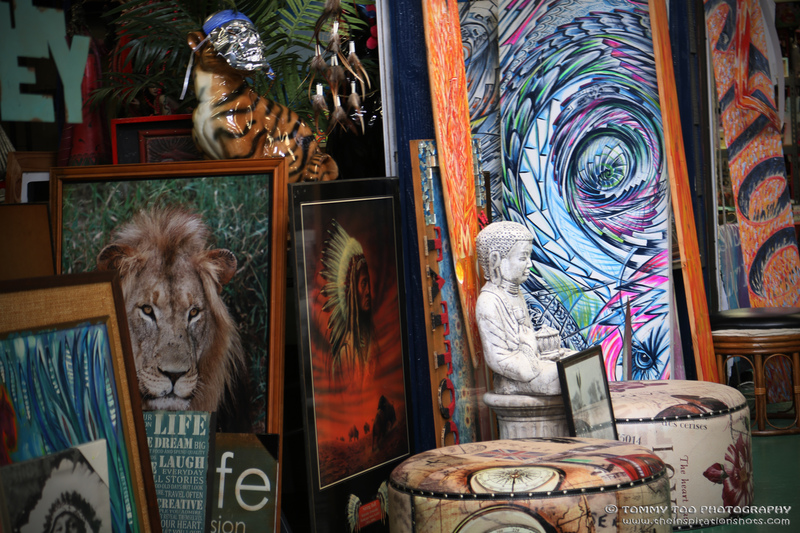 Natural attractions also abound in the Gold Coast region. The area was formed about 24 million years ago when two massive volcanos erupted (one of them being Mount Warning), spilling out huge volumes of rock and molten lava previously stored beneath the surface of the earth. Subsequent volcanic activity worked further on the terrain, creating a variety of features and forming the country-side we see today. The area is now blessed with a combination of rainforest covered mountains and lush green flatlands. 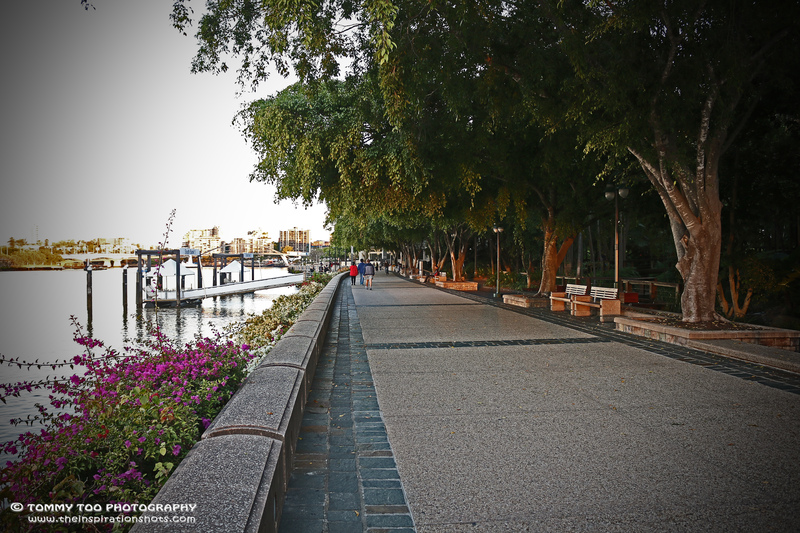 The Clem Jones Promenade is a scenic river walk that spans the length of the South Bank Parklands. Stretching from QPAC to the Maritime Museum, the Promenade is fringed by magnificent fig trees and has unobscured views of the Brisbane River and CBD. It is the perfect location for walking, running or cycling and it also has plenty of seating for those who just want to sit back and enjoy the view. Rainforest Walk. It’s not often that you find a rainforest in the middle of a city, so a stroll along this hidden gem is a must when you’re at South Bank. The rainforest walk is located in the heart of the Parklands and features stunning boardwalk surrounded by lush, local trees and plants. It’s the perfect place some tranquil reflection or a bit of wildlife spotting – the space is home to plenty of colorful lizards, birds and fish. The Arbour. Those with a penchant for color and creativity will love the Arbour, a kilometre-long walkway awning located in the Parklands. The Arbour has won multiple awards for its architecture and is comprised of 443 curling, galvanized steel posts that are each clad with vibrant magenta bougainvillea flowers. 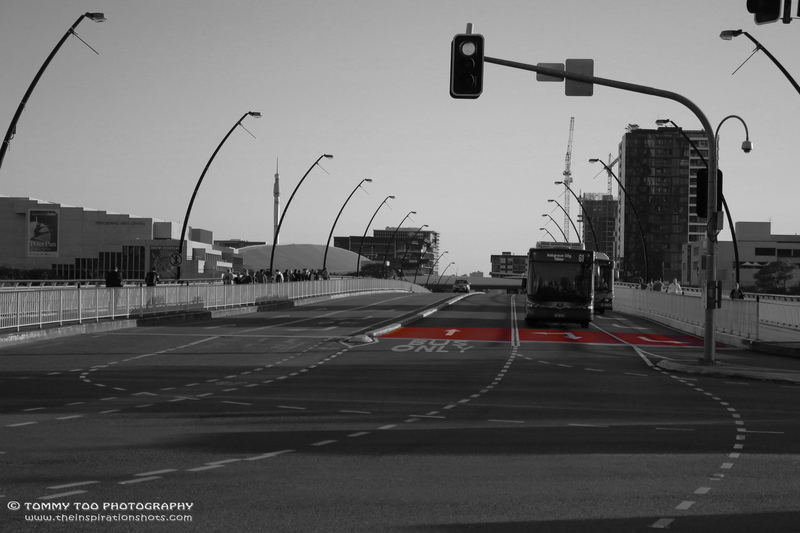 It also has a ribbon of yellow steel running along it to provide shade and weather protection for its patrons. 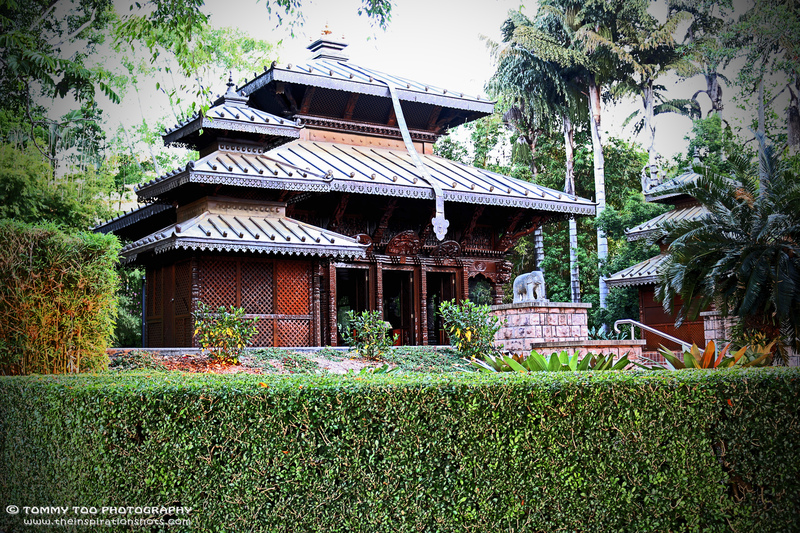 The Nepal Peace Pagoda in Brisbane, Queensland, Australia, is located at the transformed Brisbane World Expo ’88 site, South Bank Parklands. It is one of the most significant heritage items in Brisbane from the hosting of the Expo. It is the only international exhibit remaining on the site. In 1986, the United Nations International Year of Peace, the Kingdom of Nepal agreed to participate in World Expo ’88, and the Association to Preserve Asian Culture was commissioned to create, operate for the Expo, and find a new home for the Pagoda at the Expo’s conclusion. The Peace Pagoda was built by German architect Jochen Reier (APAC) on behalf of the Kingdom of Nepal. Immediately, 80 tons of indigenous Nepalese timber were sourced from the Terai jungle forest of Nepal, carted across to the capital Kathmandu where 160 Nepalese families worked for two years at crafting its diverse elements. These were then shipped to Australia in two 40-foot containers and one 20-foot container, where they were assembled at the Expo site by a handful of Australian workers under Nepalese supervision. The final assembly for World Expo ’88 only took a few days. Three-levelled, with a beautiful tea house on the second level, and one of the only hand-crafted pavilions, the Pagoda quickly became one of the most visited and photographed pavilions at the Expo. Towards the end of the Expo, a group of persons called Friends of the Pagoda established a petition to keep the Pagoda in Brisbane after the conclusion of the Expo, with some 70,000 signatories. Sir Edmund Hillary, the first person to ascend Mount Everest, was VIP guest to the Pagoda during the Expo on 8 August 1988. The Pagoda is one of only three Nepal Peace Pagodas outside of Nepal, the other two being in Munich and Osaka, and is a close copy of Pashupatinath Temple in Kathmandu, with significant Hindu and Buddhist iconography representing the different Avatars of Shiva, Buddha’s in different states of meditation, or mudras, the eight auspicious symbols of Buddhism, a sacred statue of Avalokiteshvara, the Buddhist deity of compassion, as well as a Peace Bell, two smaller side Pavilions, a Buddhist stupa, and a Peace Post, with the calling to World Peace in four languages Japanese, French, Spanish and English. Sanskrit prayer chants also feature inscribed on the roof eaves of the two side Pavilions, as well as the inscription for Om above the central door. Whilst not used as a traditional Buddhist or Hindu Centre, it is occasionally used for weddings, private functions, book launches and company events, and many visitors can be seen using the Pagoda’s internal first level Church pews for personal meditation. South Bank Corporation manages the Pagoda on behalf of the Parklands and the City of Brisbane. After the Expo, it was work of Friends of the Pagoda, with Brisbane City Council Councilor David Hinchliffe as head, to liaise between government and private donations to keep the Pagoda in Brisbane, and the campaign was a success, largely also due to the last minute concluding successful donation by retirees Mr. & Mrs. Frank & Myra Pitt. Various ideas were put forward as to where to host the Pagoda, including the Queensland Art Gallery, and City Botanic Gardens, with South Bank Parklands the final successful resting place for the Pagoda, at its new riverfront location, where it became part of the parklands opening in June 1992. For at least 6000 years, Aboriginal people lived in and visited these mountains. The vanished Wangerriburras and Nerangballum tribes claimed home to the plateau territory. Roughly 900 years ago the indigenous population began to decline. Bushrangers Cave, which is close to Mount Hobwee and is 60 metres (200 ft) long, was once an aboriginal camp. This site shows Aboriginal occupation going back 10,000 years. Captain Patrick Logan and Allan Cunningham were the first European explorers in the area. The timber cutters soon followed, including the Lahey family who owned one of Queensland’s largest timber mills at the time. In 1863 a survey of the Queensland/New South Wales border was conducted. The task was carried out by Francis Edward Roberts and Isaiah Rowland, both surveyors, who had to define the border along the highest points in dense rainforest where there were very few clear lines of sight. Robert Collins campaigned heavily for the protection of the area from logging from the 1890s. Collins entered state parliament and saw a bill passed that preserved state forests and national parks but he died before the McPherson Range was protected. Later it was another local, Romeo Lahey who recognised the value of preserving the forests. He campaigned to make it one of the first protected areas in Queensland. The O’Reilly family established a guesthouse near the park in 1926, now named O’Reilly’s Rainforest Retreat, and founding members of the National Parks Association of Queensland built Binna Burra Lodge next to the park in the 1930s. Lamington National park was established in 1915. The park was named after Lord Lamington, Governor of Queensland from 1896 to 1902. In 1937, Bernard O’Reilly became a hero when he rescued the survivors from a Stinson plane that crashed in the remote Lamington wilderness. In typical Australian bushman fashion he embarked on his rescue mission taking only onions and bread to eat. Only a small portion of the original wreck remains today, 10 km south from the O’Reilly’s guesthouse. The Lamington National Park is a national park, lying on the Lamington Plateau of the McPherson Range on the Queensland/New South Wales border in Australia. From Southport on the Gold Coast the park is 85 kilometres (53 mi) to the southwest and Brisbane is 110 kilometres (68 mi) north. The 20,600 hectares (51,000 acres) Lamington National Park is known for its natural beauty, rainforests, birdlife, ancient trees, waterfalls, walking tracks and mountain views. The park is part of the Shield Volcano Group of the World Heritage Site Gondwana Rainforests of Australia inscribed in 1986 and added to the Australian National Heritage List in 2007. The park is part of the Scenic Rim Important Bird Area, identified as such by BirdLife International because of its importance in the conservation of several species of threatened birds. Most of the park is situated 900 metres (3,000 ft) above sea level only 30 kilometres (19 mi) from the Pacific’s ocean shores. The plateaus and cliffs in Lamington and Springbrook National Parks are the northern and north western remnants of the huge 23-million-year-old Tweed Volcano, centered around Mount Warning. Elevation in the south of the park is above 1,000 metres (3,300 ft) in some parts. The land declines to under 700 metres (2,300 ft) in the north. 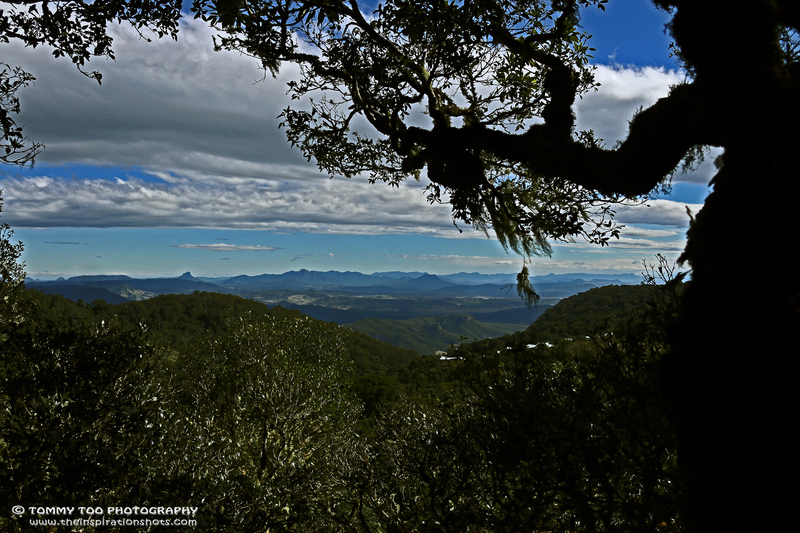 Some of the mountains in the park include Mount Hobwee, Mount Widgee, Mount Toolona, Mount Cominan, Mount Roberts and Mount Bithongabel, containing much of Australia’s few cloud forests. The Nerang River, Albert River and Coomera River all have their source in Lamington National Park. 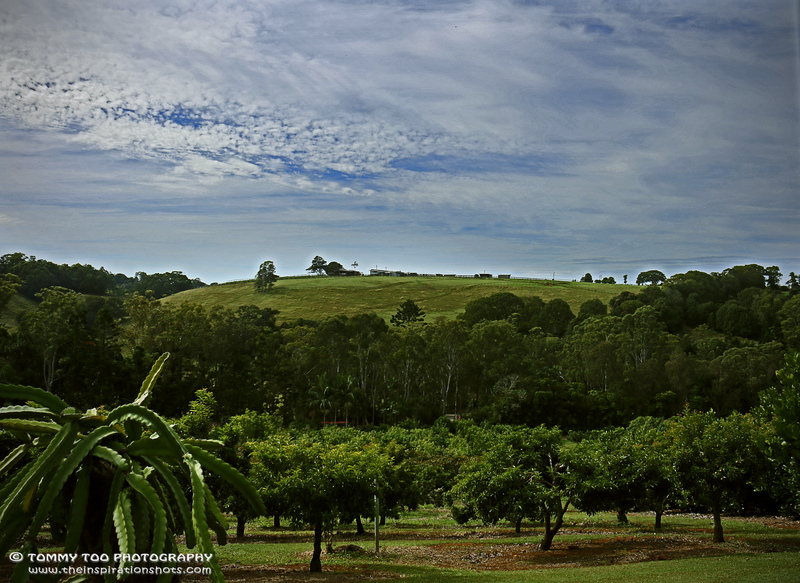 Eastern parts of the park feature high cliffs which rise above the Numinbah Valley. The park is within the Gold Coast City and Scenic Rim Region local government areas. 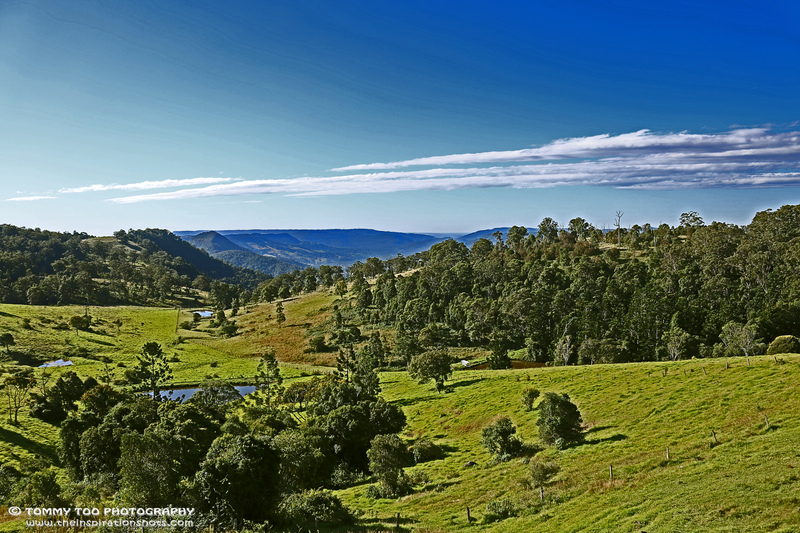 Southern Lamington and sections of O’Reilly, Binna Burra and Natural Bridge are protected with Lamington National Park.